Herreshoff yacht’s boat #94 was a 26 foot open steam launch built for the US fisheries administration as a tender for the research vessel Albatros. Redd’s Pond Boatworks has been commisioned to make a 22′ version of this design. We took the original offsets from the MIT Hart Museum to Zurn Yacht design who checked the engineering and stability of this design when scaled down. 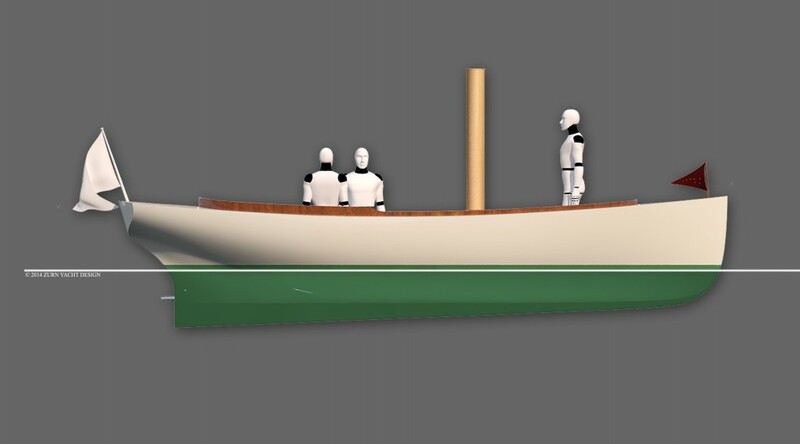 The new boat will be powered by a wood fired steam boiler and steam engine. Built traditionally cedar carvel planks on an oak structure.